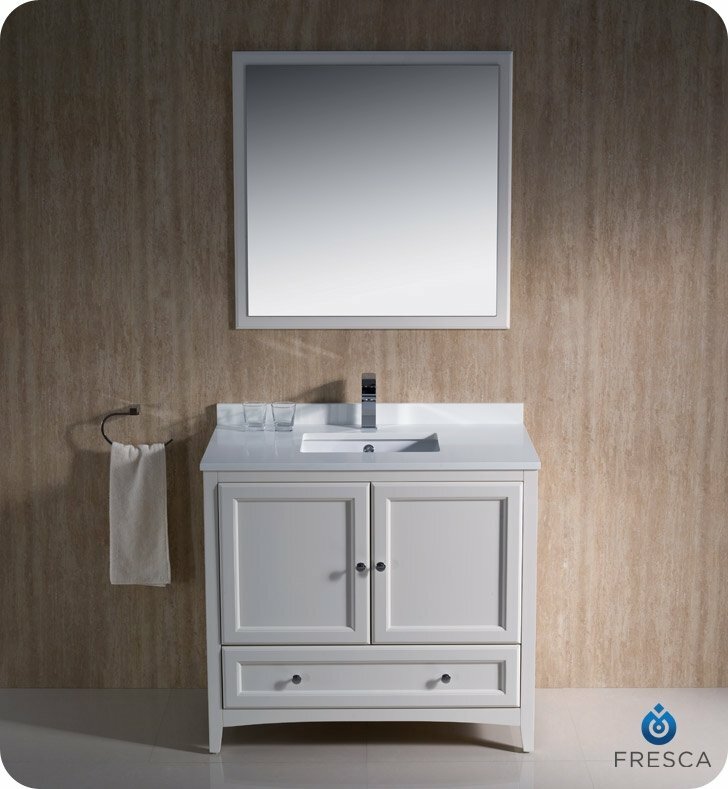 Blending clean lines with classic wood, the Fresca Oxford Traditional Bathroom Vanity is a must-have for modern and traditional bathrooms alike. 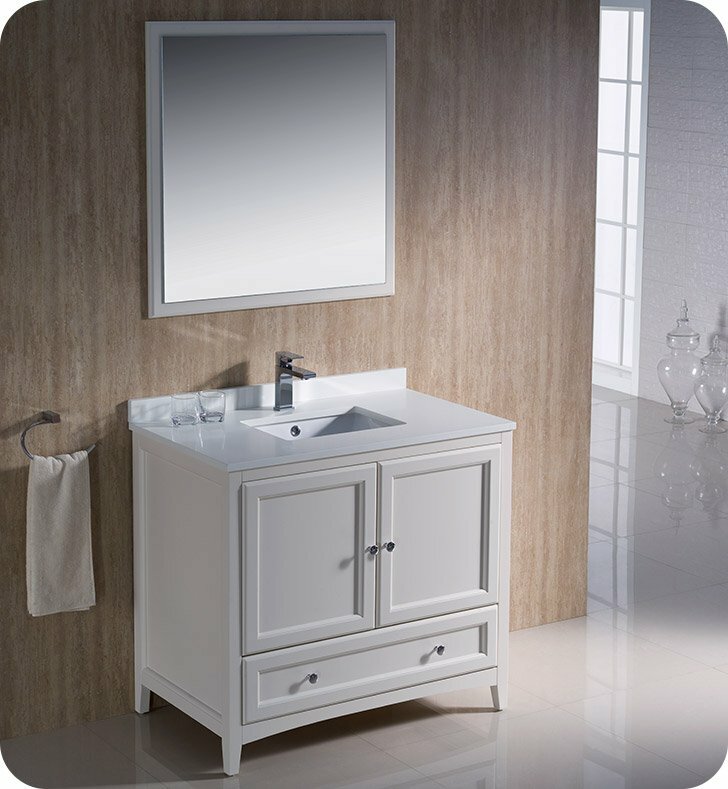 The vanity frame itself features solid wood in a stunning Antique White finish that's sure to stand out in any bathroom and match all interiors. 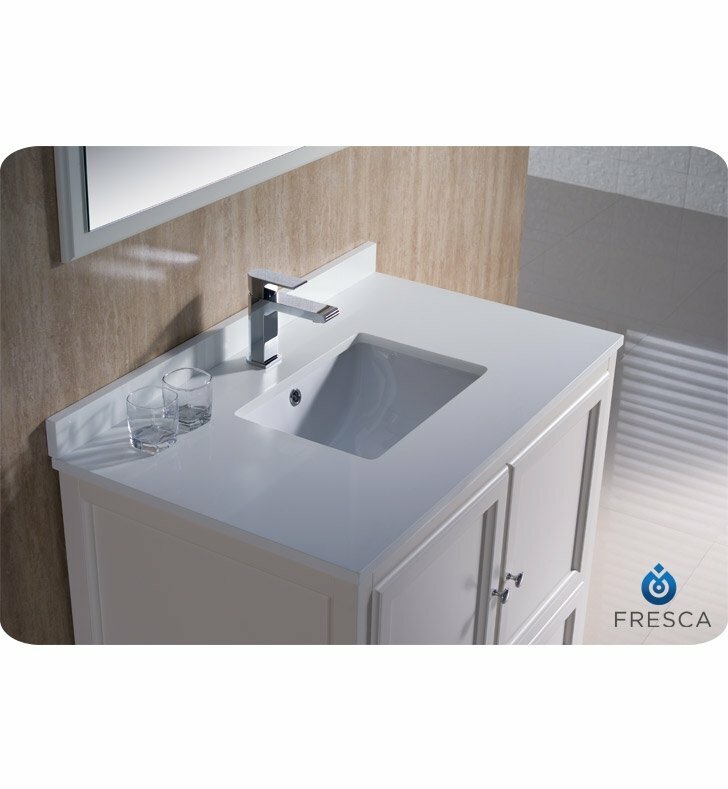 The beautiful countertop, which is available in white or brown finish, also includes an eye-catching backsplash. The durable and long-lasting quartz material it's made allows it to remain sturdier and heavier than other countertops. 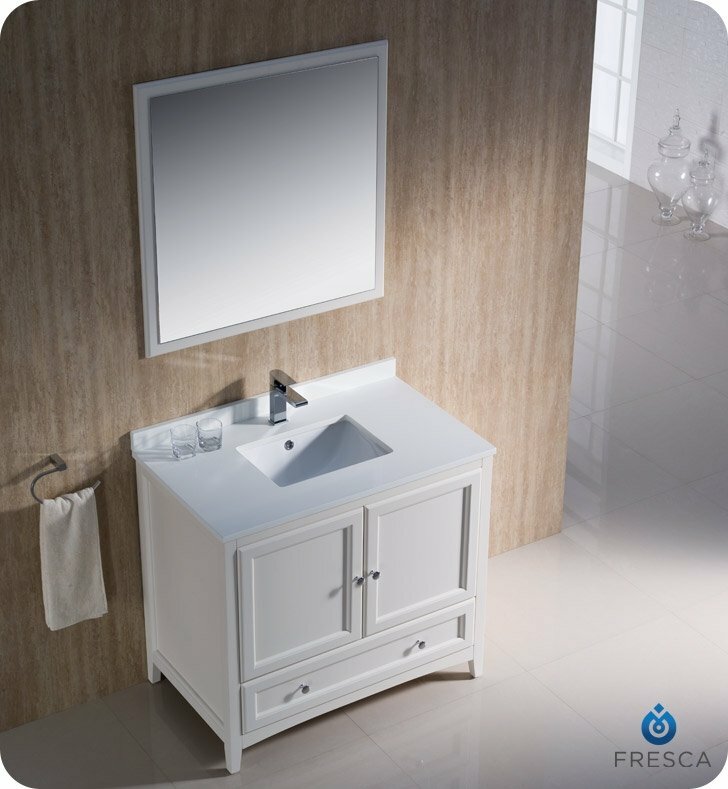 Built into the vanity frame is a ceramic undermount sink - available in white or bone finish - that melds naturally with the surrounding features. 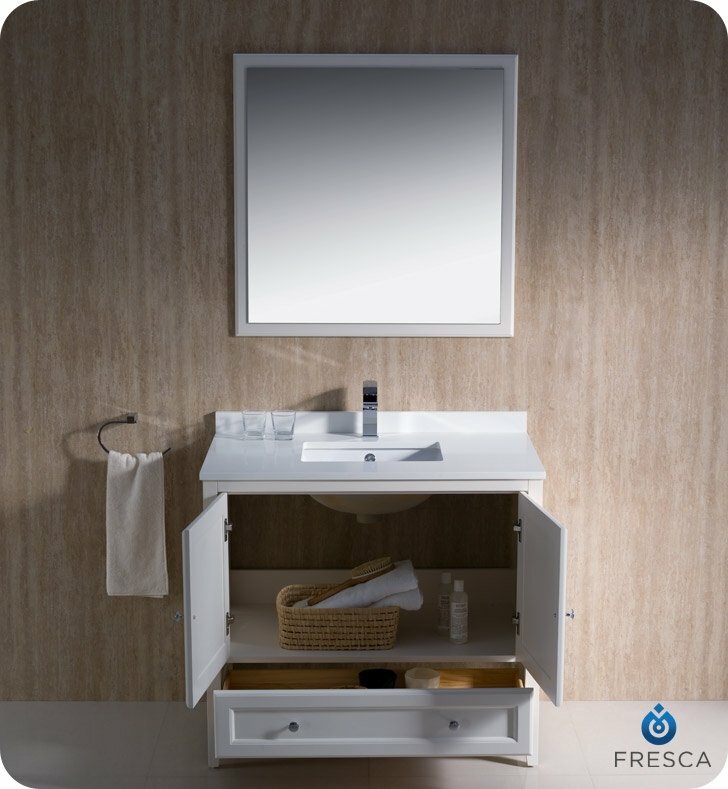 The main cabinet opens to reveal a cozy yet ample space for storing toiletries, while dovetail drawers beneath offers additional hidden storage. Tying the whole piece together is a gorgeous overhead mirror that echoes the clean lines and friendly appeal of the vanity below. 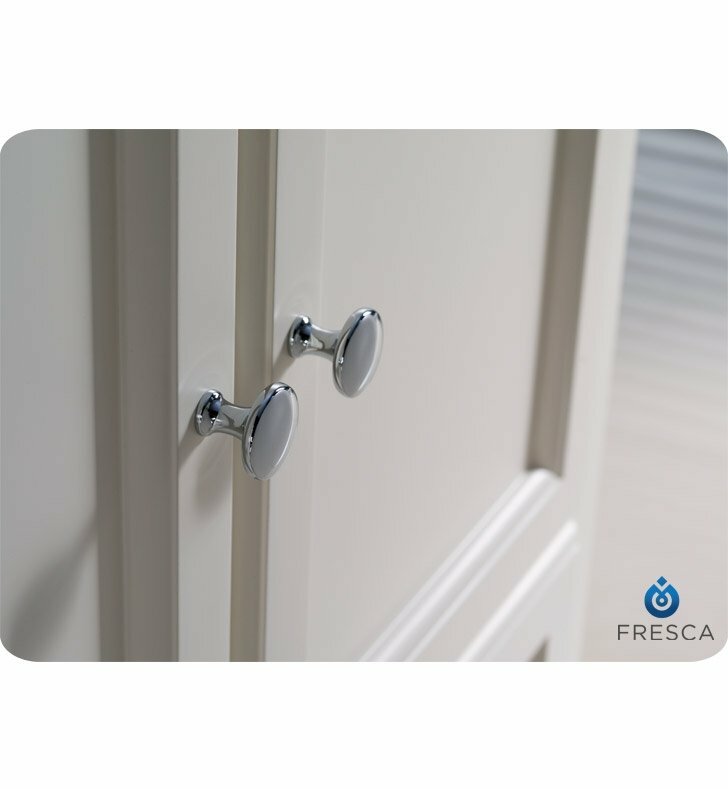 All in all, the Fresca Oxford 36" Traditional Bathroom Vanity in Antique White is an amazing addition to virtually any home.